Oro di Cabras, the Mullet Bottarga the Romans Would Choose! 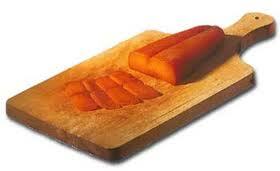 The name Bottarga comes from the Arabic “Bottarikh” which means salted fish eggs. In fact, it is a product of ancient origins. 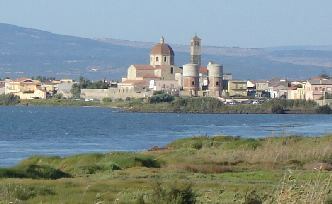 The Mullet bottarga fished in the ponds of Cabras, in Sardegna, was loved by the Phoenicians and particularly the Romans, who used it in large quantities. Gustiamo’s Mullet Bottarga comes from the same place in Sardegna, Cabras (left); it is made with the same methods: the egg roe of the mullet is cleaned, salted, pressed, dried naturally on wood planks from 15 to 30 days, depending on the weather (during the drying process, the pieces of bottarga are turned every 4-5 hours). The whole process is done by hand and with the passion of a tradition that has been passed down for generations. Gustiamo’s Mullet Bottarga is made by a Cooperative of Fishermen, the Manca Brothers, 6 brothers lead by Mario Manca, the eldest. Manca’s Bottarga arrives vacuum packed and it is called “Oro di Cabras”, Gold of Cabras. 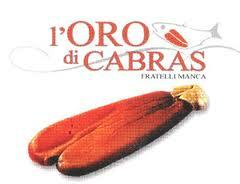 If the Romans came back, they would certainly choose the “Oro di Cabras” bottarga by Fratelli Manca, the real thing! In America, you can find Bottarga di Cabras only @ Gustiamo, Italy’s Best Foods! Previous Post Sant’Eustachio Directly to your Home – In America. Next Post Spaghetti with Bottarga, OUR Favorite Dish! Easier to Find in America!